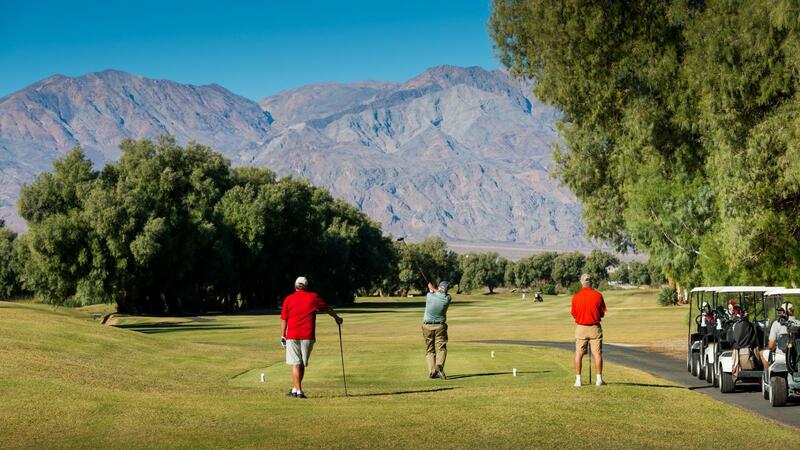 Situated within a true American oasis of the three million acres of the Death Valley National Park, Furnace Creek Golf Course is a USGA accredited 18-hole golf course. 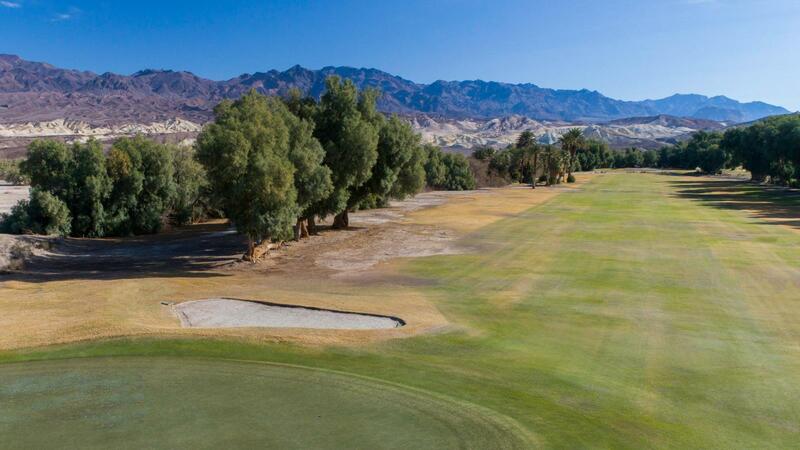 Set about in 1927, the spectacular course alongside its iconic drive-through 19th hole recently underwent a massive renovation primarily focused on water conservation and the transition of 15 acres of maintained turf to desert with low-water-use native plantings. Don't be deceived by the wide-open fairways and the lengthiness of the course, which plays to a par of 70 and has a USGA rating of 74. 7 alongside a slope of 128. While links known for distinct house rules and challenges, some of the hazards include coyotes that like to one-way fetch golf balls and the perplexing fact that golf balls don’t travel as far as 214 feet below sea level as they do at sea level. 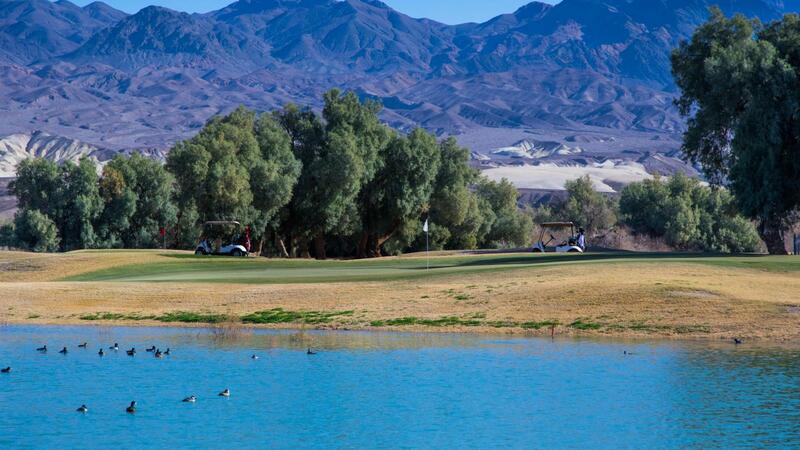 The famous course is complemented by the luxurious Inn at The Oasis at Death Valley and the more casual Ranch at The Oasis at Death Valley.